Some say the invention of the kite inspired men to dream of flying and led to the invention of the airplane! 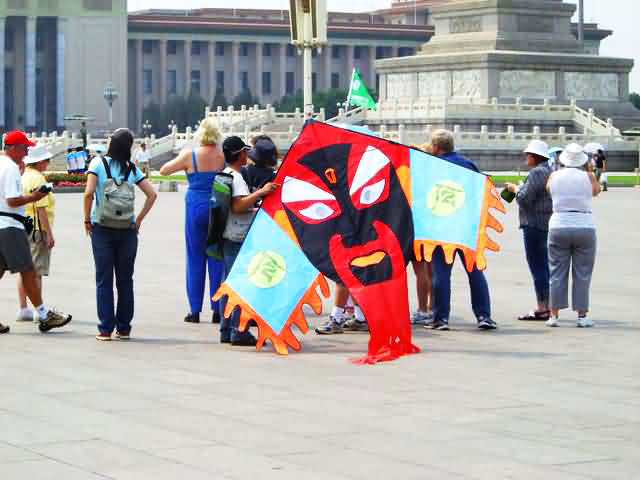 Flying a kite was once a "traditional ceremony" to greet each spring in Beijing. It is a bright and beautiful scene when the sky of the ancient capital is dotted with thousand of various kites. For families, this is an ideal recreation that young and old can enjoy together. Most of kites for sale are made of plastic and fabric. The plastic triangle kite is the easiest one to fly, but fancy ones of all shapes and sizes are also available. 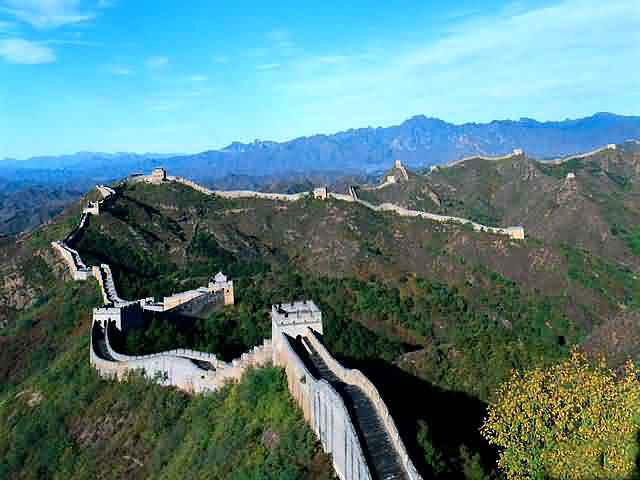 There are quite a few good places for flying kites in the city including: the Temple of Heaven Park, Chaoyang Park, China Millennium Monument, Shijingshan Amusement Park, and Tian 'anmen Square. These are plenty spacious and many have vendors selling kites nearby. 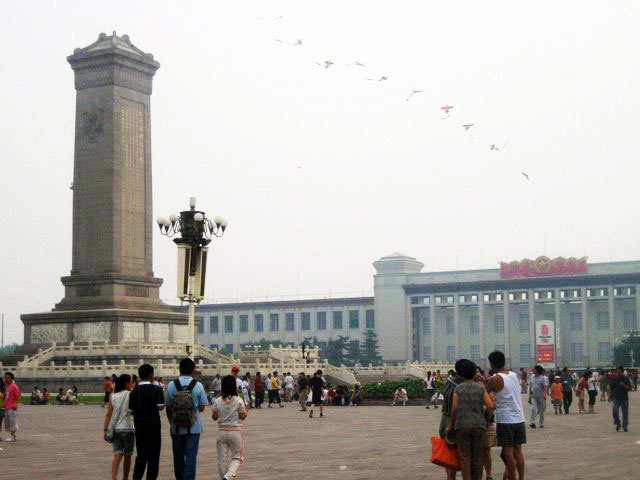 A group of people are preparing for flying kites on the Tiananmen Square. 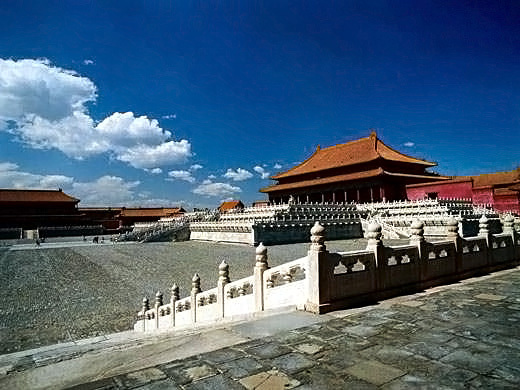 Beautiful kites dot the sky of Beijing.